Only two kinds of people can attain self-knowledge: those who are not encumbered at all with learning, that is to say, whose minds are not over - crowded with thoughts borrowed from others; and those who, after studying all the scriptures and sciences, have come to realise that they know nothing. God is the master, the devotee is the servant. God is the beloved the devotee is the lover. What are you to do when you are placed in the world? Surrender everything to Him, resign yourself to Him, and there will be no more trouble for you. Then you will come to know that everything is done by His will. Because of the screen of Maya that shuts off God from human view, one cannot see Him playing in one's heart. 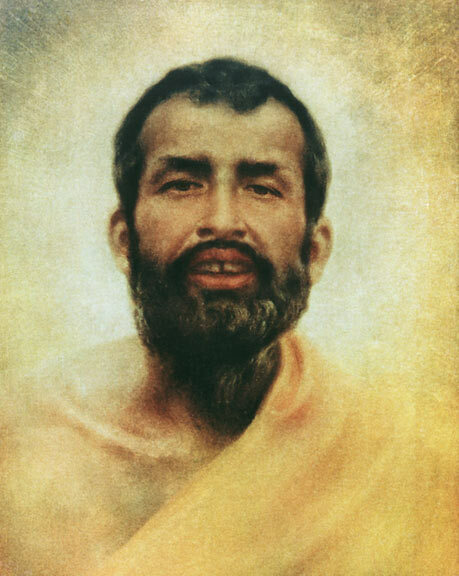 Sri Ramakrishna (1836-1886) was a great mystic saint of India. His early life was devoted to the practice and realizing of a variety of spiritual disciplines, including those of Hinduism, Christianity, and Islam. After realizing God in each of those religions, he declared that all faith paths, if followed with earnestness, lead to the same God-realization. Ramakrishna’s life therefore embodies all spiritual ideals and represents the harmony of the world’s great religious traditions. He is a truely universalist in his approach to God realization. Five of his disciples spread the message of Vedanta in the United States and Europe. May God's peace be upon this great soul.